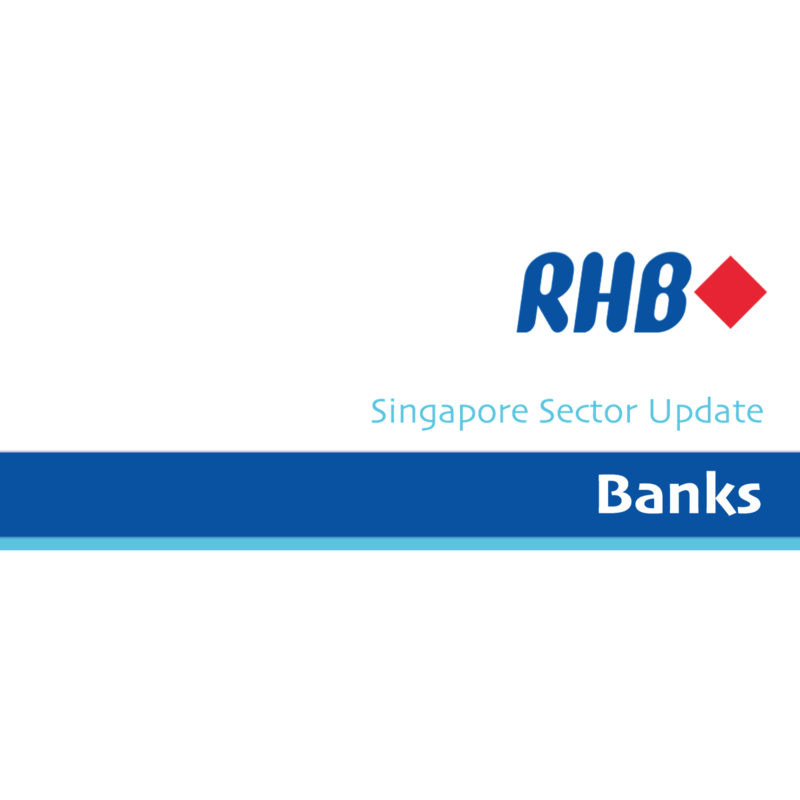 Over the month of Mar 2018, Singapore interest rates have risen: the 3-month SIBOR recently rose to 1.51% (from 1.37% at the beginning of March), whilst SGD fixed deposit rates from Singapore banks also rose 17-30 bps – this would be positive overall for banks’ NIMs. Looking ahead, MAS is scheduled to announce its next MPS next week. Market expectations are for MAS to signal a stronger currency at this Apr 2018 policy review. If MAS tightens, SIBOR may see some short term weakness, and NIM widening of Singapore banks may take place at a slower pace. On the other hand, if MAS maintains a neutral stance, NIM widening may quicken. Within the neutral-weighted Singapore banks space, we like UOB (UOB SP, Rating: BUY, Target Price: SGD30.00), which has a strong balance sheet, and could catch up in share price performance (having underperformed its peers YTD). The Monetary Authority of Singapore (MAS) is scheduled to announce its next Monetary Policy Statement (MPS) next week. Market expectations are for MAS to signal a stronger currency at this Apr 2018 policy review. Even if MAS maintains a neutral stance this month, its commentary is likely to sustain market expectations of possible tightening ahead. Recall that at the last MPS in Oct 2017, MAS maintained the rate of appreciation of the Singapore dollar nominal effective exchange rate (S$NEER) policy band at zero percent. Our RHB house view is for MAS to keep an unchanged neutral policy stance at the coming April MPS. We saw recent strength in both SIBOR and SGD fixed deposit rates. The 3-month SIBOR surged from 1.37% at the beginning of Mar 2018 to the current 1.51%. Our recent ground checks showed that DBS increased its 3-month fixed deposit rates over the previous four weeks by 30bps to 0.9% at end-Mar 2018, and UOB likewise by 17bps to 1.48%. Other banks have also raised their fixed deposit rates over the past month. We see two possible outcomes. If MAS were to maintain a neutral stance, Singapore banks’ NIM widening is likely to quicken in the months ahead. We prefer UOB in the NEUTRAL-weight Singapore banks. Whilst Singapore banks’ earnings should rise on the back of higher interest rates, this has largely been factored into the share price surge over the past year. Our preferred bank pick remains UOB, which has lagged in share price performance (+1.9% YTD versus SG banks’ average of 4.6%). UOB also has a strong balance sheet.